Collect meaningful memories, embark on inspiring adventures and follow the path less traveled — anything is possible in Itabira. But first, let us fill you in on the essentials about your next travel destination! To help you get your bearings, Itabira is located 45 miles (72 kilometers) to the northeast of the prominent city of Belo Horizonte. Love meeting the locals on vacation? This area of Minas Gerais has a population of around 99,000 people. It's a breeze to organize a getaway in Itabira with Travelocity. Save an unbelievable amount when you buy an accommodation and airfare deal. And it gets better — you can access at least 400 airline partners and 665,000 accommodations. Our Customer 1st Guarantee gives you 24/7 personal assistance on everything from airfares and accommodations to car rentals and activities. If you happen to notice a better deal elsewhere, we'll refund the difference^. 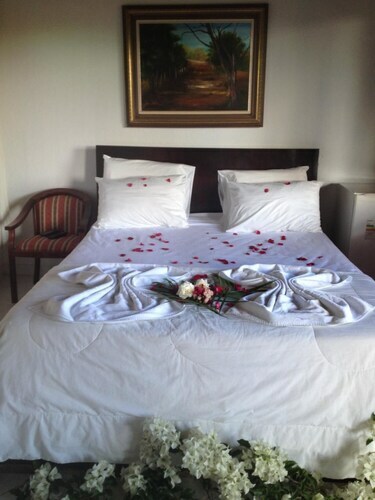 All package reservations can be rescheduled with no nasty charges from our end. And so long as you get in fast, many accommodations don't charge fees either^. 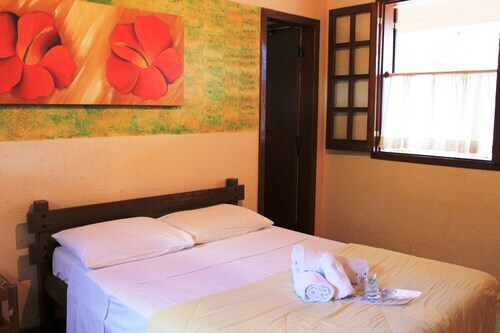 With the absence of accommodations in the heart of Itabira, it's fortunate that Nova Uniao is so close by! 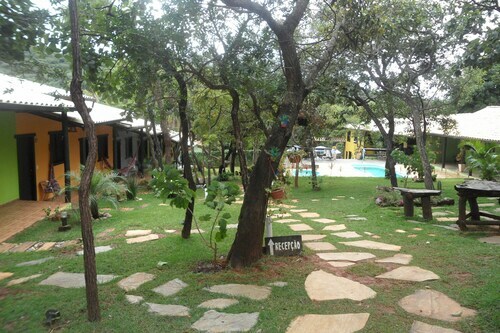 Only 17 miles (27 kilometers) away, it offers the Tauá Hotel Caeté. But don't wait too long, as it's the only available option in the area. Where do you fly into for Itabira? Landing at Tancredo Neves International Airport (CNF)? After you've hopped off the plane and claimed your luggage, the center of Itabira will be only 40 miles (64 kilometers) to the east away. Can I rent a car in Itabira? Forget the hassle of trains and expensive cabs. If you hope to do some serious exploring in Itabira, you ought to secure some wheels via Travelocity. We make it so simple that you'll be fine-tuning your favorite playlist in next to no time! Escape into the wider region and get closer to nature with activities like rock climbing. If you're looking to ramp up the fun factor, also make plans to go mountain climbing. If you're visiting Itabira, you aren't just limited to this area. Belo Horizonte is only 45 miles (72 kilometers) away and offers a whole range of close by things to see and do, including Church of Saint Francis of Assisi. If you've got more time up your sleeve, stop by Liberty Square too. You certainly won't regret it! 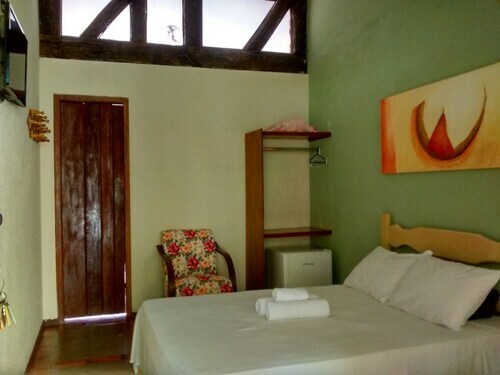 Located in the heart of Itabira, this hotel is within 1 mi (2 km) of Dr. Acrisio Alvarenga Square, Well of Holy Water Park, and Bras Martins Cultural House. Cultural Foundation Carlos Drummond de Andrade and Itabira Cathedral are also within 1 mi (2 km). 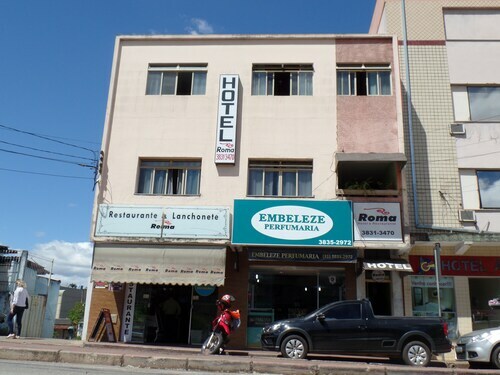 Situated in Itabira, this hotel is within a 15-minute walk of Well of Holy Water Park, Bras Martins Cultural House, and Dr. Acrisio Alvarenga Square. Cultural Foundation Carlos Drummond de Andrade and Itabira Cathedral are also within 1 mi (2 km). 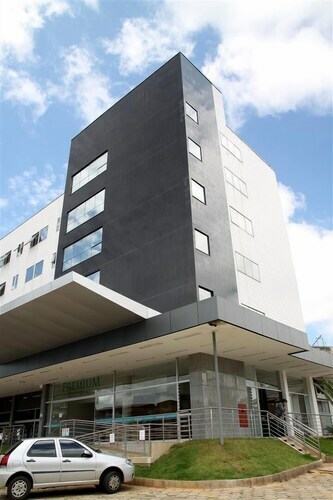 Located in the heart of Itabira, this hotel is within a 15-minute walk of Well of Holy Water Park, Bras Martins Cultural House, and Dr. Acrisio Alvarenga Square. Cultural Foundation Carlos Drummond de Andrade and Itabira Cathedral are also within 1 mi (2 km). Located in Serra do Cipó, this pousada is within 3 mi (5 km) of Serra do Cipo National Park, Igreja de Santa Terezinha, and Parque Nacional da Serra do Cipó. Santana do Riacho Waterfall and Andorinhas Waterfall are also within 12 mi (20 km). 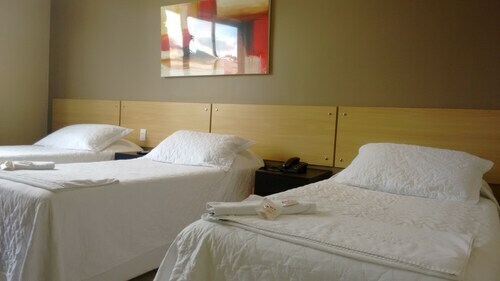 Set in Caete, this family-friendly hotel is within 20 mi (32 km) of Shrine of Our Lady of Mercy, Serra da Piedade Astronomical Observatory, and Chapel of Our Lady of the Rosary. Church of our Lady of Bom Sucesso and Serra do Cipo National Park are also within 25 mi (40 km). This family-friendly Santana do Riacho pousada is located in Serra do Cipó, within 1 mi (2 km) of Igreja de Santa Terezinha and Serra do Cipo National Park. Santana do Riacho Waterfall and Parque Nacional da Serra do Cipó are also within 2 mi (3 km). Located in Serra do Cipó, this pousada is within a 15-minute walk of Igreja de Santa Terezinha and Serra do Cipo National Park. Parque Nacional da Serra do Cipó and Santana do Riacho Waterfall are also within 3 mi (5 km).